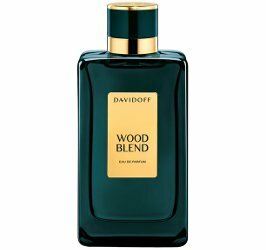 Davidoff has launched Wood Blend, a new fragrance in the Davidoff Blend Collection. The series started in 2014 with Leather Blend, followed by Agar Blend in 2015 and Amber Blend in 2016. The fourth opus of the Davidoff Blend Collection, Wood Blend Eau de Parfum is a mysterious and noble woody oriental. It tempts with zesty citrus notes of lemon oil and spices, then seduces with a majestic note of vetiver, amplified by the textured spiciness of saffron and coriander seed. A golden ambery boost of musk signs a uniquely suave and sensual experience. Additional notes include nutmeg and cardamom. Davidoff Wood Blend is available now at Harrods, £72 for 100 ml Eau de Parfum.